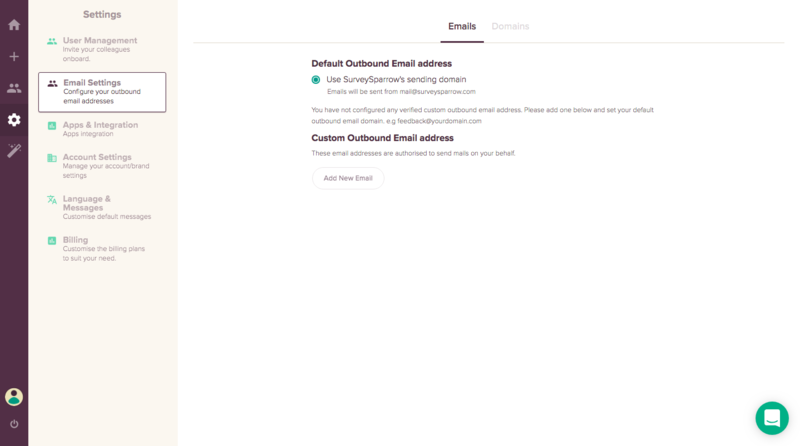 When you send out your survey by email, the default email address the survey is sent with (mail@surveysparrow.com) has SurveySparrow's domain. 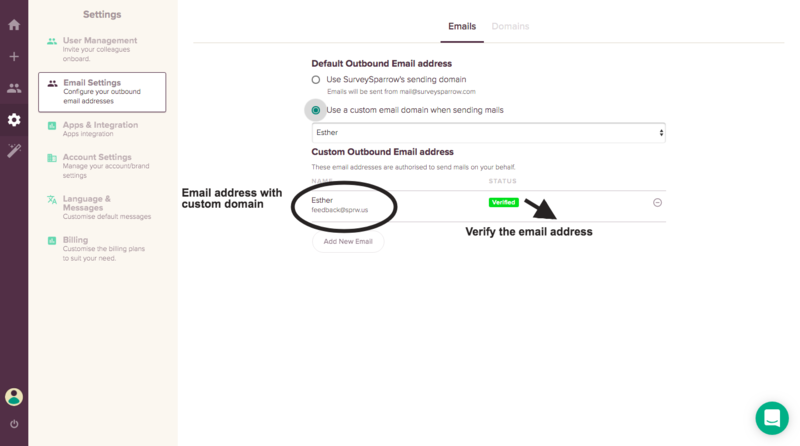 But, if you wish to have a custom domain for the email address instead, for eg., feedback@yourdomain.com, you can do so using the Custom Email Feature. In this manner, you can put across your organization's domain while sending out surveys offering a more personalized experience. Verifying the email address with which you wish to send your surveys. Please note that this feature is part of our Enterprise plan. Also, do anticipate a buffer time of at most 24 hours for the DNS configuration. In your Home page, Under Settings, please find the Email Settings tab. 2. Click on Add New Email icon to add new email(s) with custom domain for sharing your surveys. Once the email address is added, you must verify it. 3. 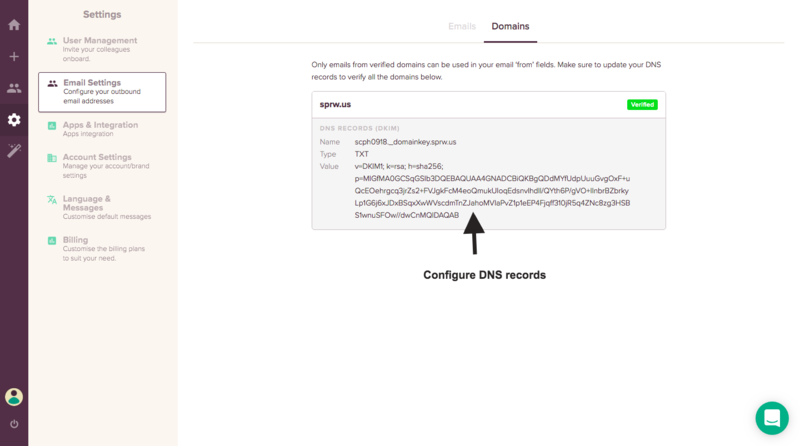 Once your email address has been verified, click on the Domain tab to configure the DNS records. Now you can send surveys from email address with the custom domain of your choice.